When I phoned up my sister in law to ask what my neice K would like for her 1st birthday this month, she reeled off all the things that K had been bought for xmas and in the sales, leaving me wondering what on earth to get her. 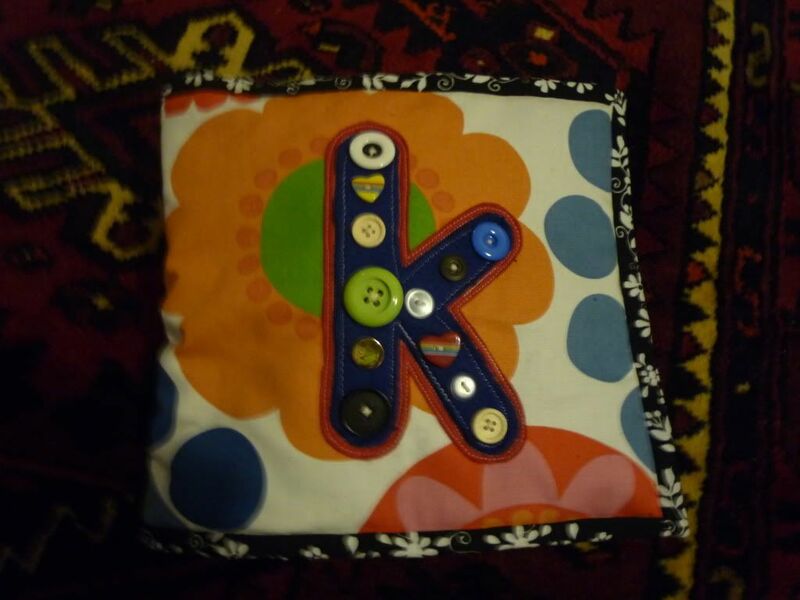 And then as an afterthought she added that K loved buttons and would I be able to make a little bit of fabric with some buttons on for her to play with…. Because these are quite involved, I’ve divided the blog for them up into 1 blog page for each of the 6 internal book pages, with extra blog pages for the covers and putting it all together. Links to all these pages are at the bottom of this page. Before I start, just to reassure any nervous sewers – though there’s lots of little bits to do, these books really don’t require any complicated sewing. 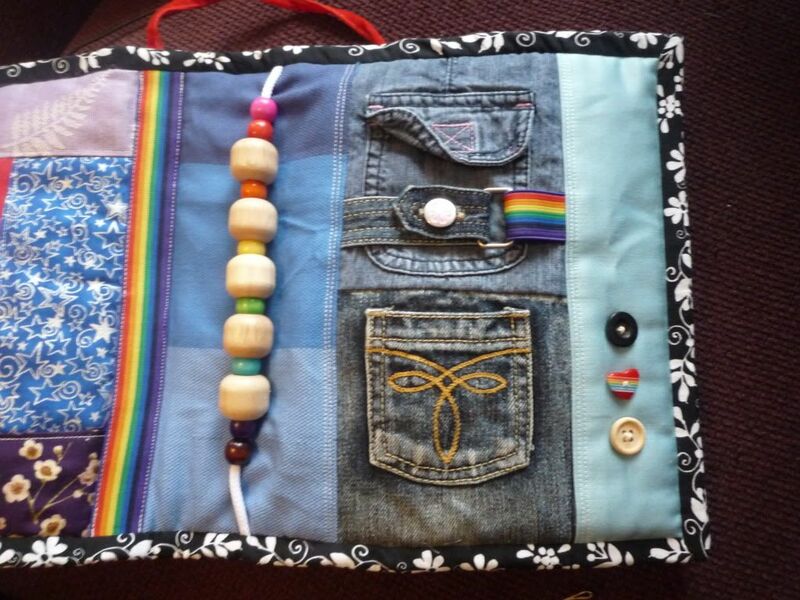 If you can stitch in a straight line, sew on buttons and use pins, you’re pretty much there! You could do them all by hand, but I used the machine for the main bits as I find it a bit more reassuring for baby toys (I don’t trust my rows of hand-stitching not to come undone). 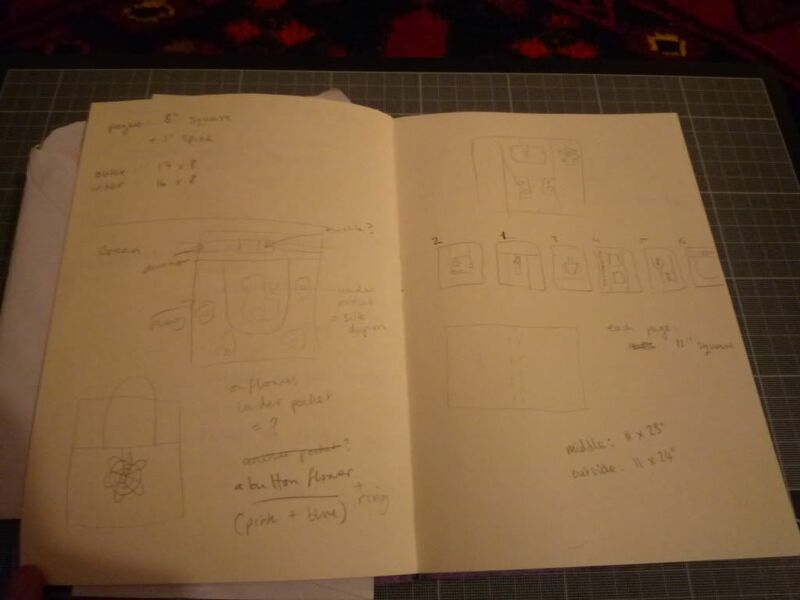 It’s also fairly easy to make the pages more or less simple than I’ve done, so I’d suggest that you just go with what you’re comfortable with, and whatever materials you’ve got floating around. 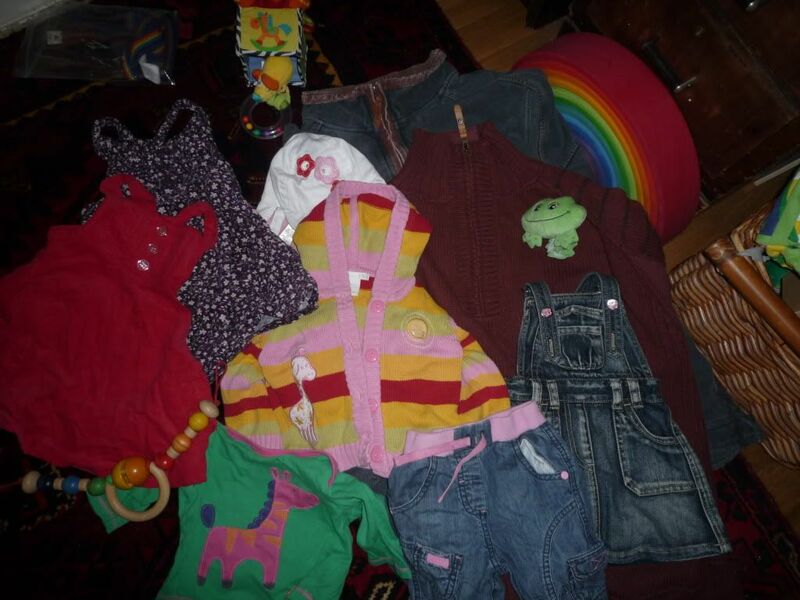 Lots of old clothes (baby clothes are great because the pockets are small and there’s often lots of nice details, but adult ones are fab too), baby toys + cloth baby books you don’t want any more, fabric scraps + buttons, trimmings, toggles, curtain rings, elastic etc. to make the fun bits. Larger piece of decorative fabric (for mine I needed 24″ x 11″) for the covers. Webbing or good quality ribbon or wide elastic (whatever you use, if it’s about 20mm wide, it should be nice and solid) to hold in toys, rings and buckles. I used 20mm webbing in a range of colours that I bought on ebay – this is nice and secure, if a bit thick and stiff. 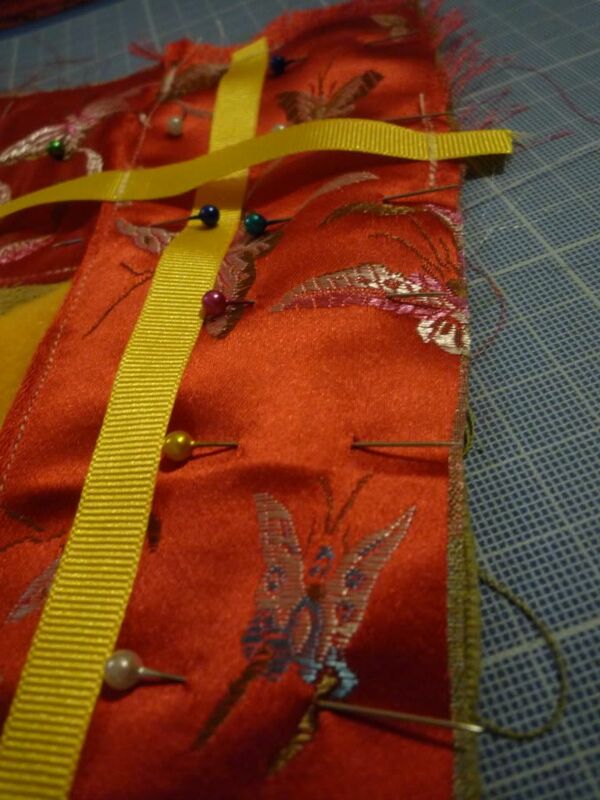 Sewing materials: needle + thread, scissors, sewing machine (or a lot of patience to do it by hand). 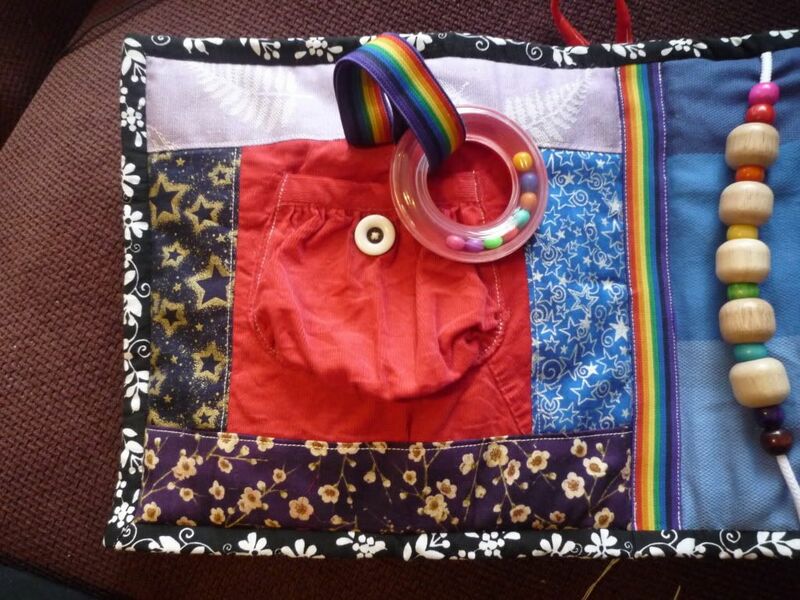 I only used cream thread for this whole project – you could change colours to add interest, but I think that using a single, neutral colour helps to tie all the random components of this together. Go through your scraps and clothes and roughly plan out the main ‘activity’ for each page, choosing the bits of clothes/toys that you’ll use for it. This way you can work out if you’ve got enough scraps for full-sized 6 pages, or whether you’d prefer to do a smaller-sized version. 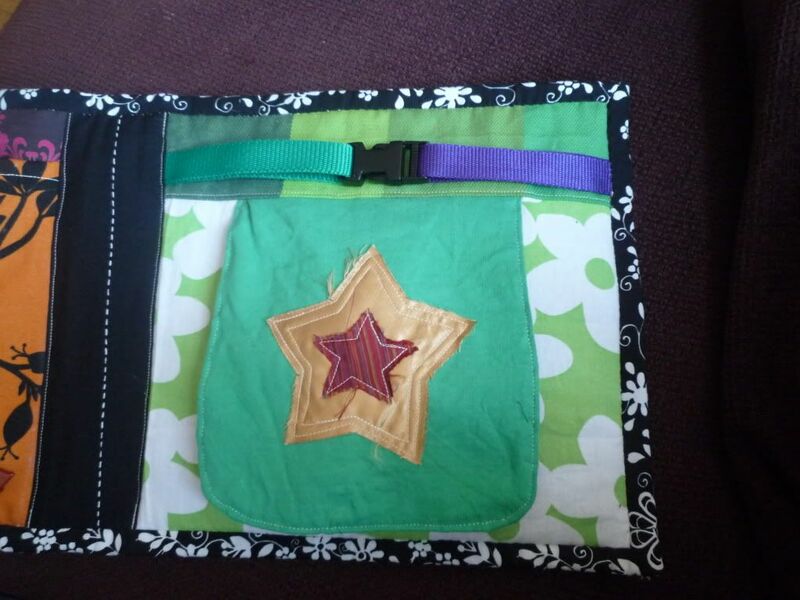 You can also easily adapt my design to make a 2-page book with pockets/buttons on the covers, or even just a 2-sided square activity page to keep in your baby bag. I use a notebook to do a sketch of what I’m thinking – if you’re not much of an artist, don’t worry – here’s my original scribbles for the Frankenbooks! 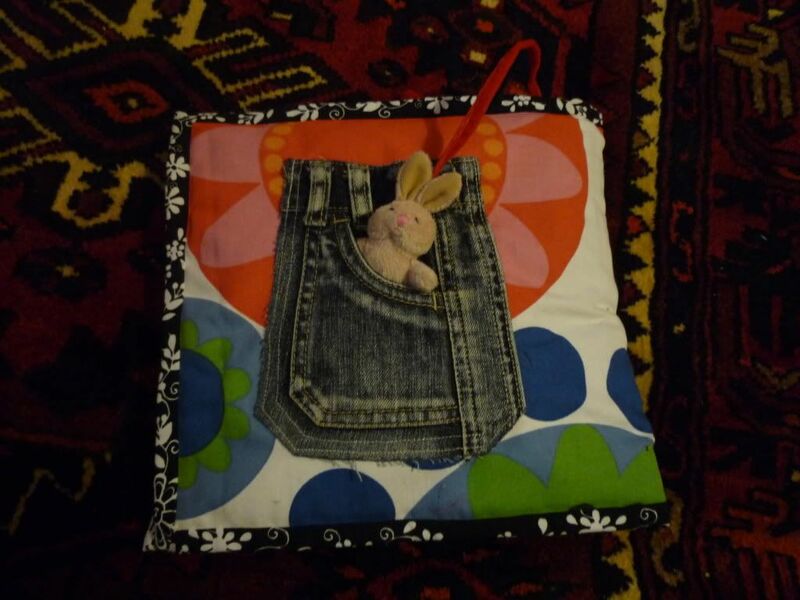 Choose the size you’d like to do your book – I think a good size for a nice, chunky cloth baby book is about 8-11″ square. I started off wanting mine to be 8″, but they ended up 11″ square so that I could fit all my ideas in! Whatever size you choose for your finished pages, make your patchwork pages at least that size, but keep the activity bits at least 0.5″ in from the edges to allow for finishing (1″ or more is better, but I didn’t always manage this!). PLEASE NOTE: As this is a work-in-progress, not all pages are written yet and links may not work – keep checking back for updates! My Way? 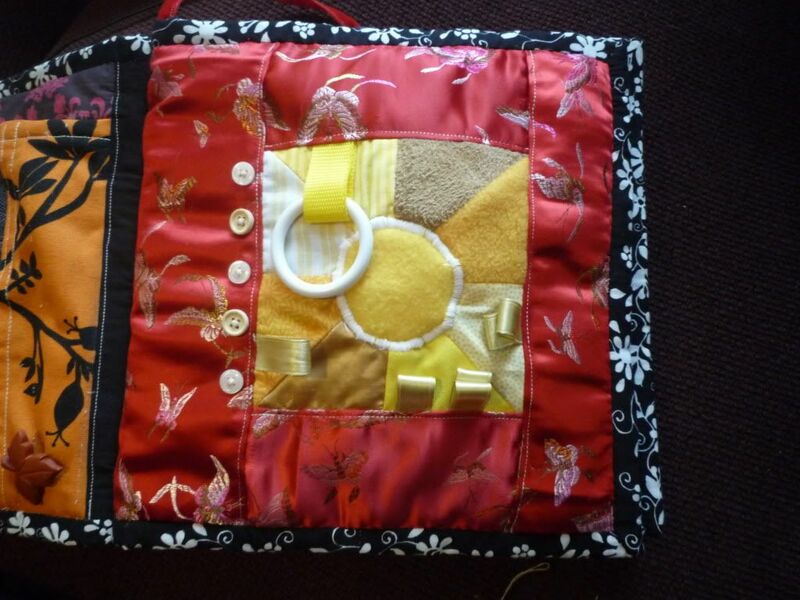 – I’m a completely self-taught patchwork/quilter so if you have better techniques/methods for doing this, please go with what you know best! I’m also largely making these up as I go along, and these blogs just let you know what I did – it’s likely that I could have done things better in places and I’m not claiming to be an expert at any of the techniques I’ve used. 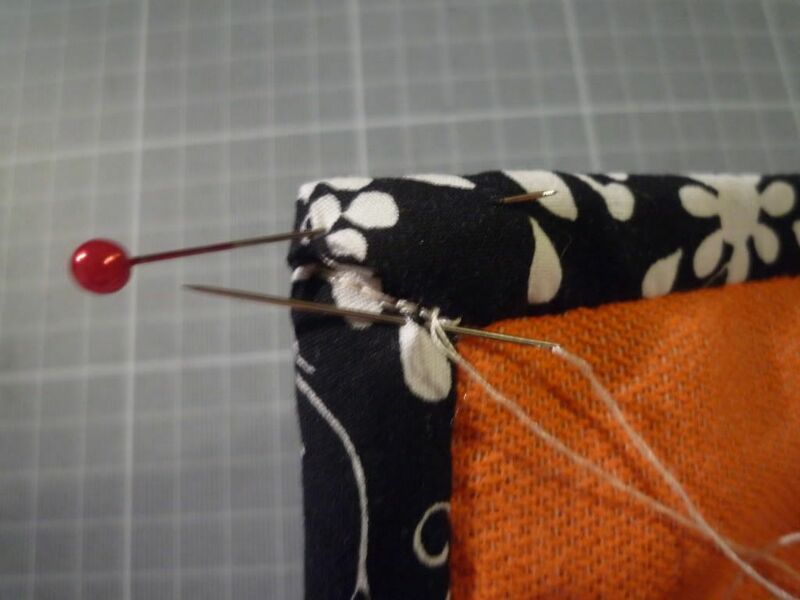 Pinning – when pinning, place the pins at right angles to the row of stitching that you’ll be doing, with the pin heads well away from where your machine foot will go. 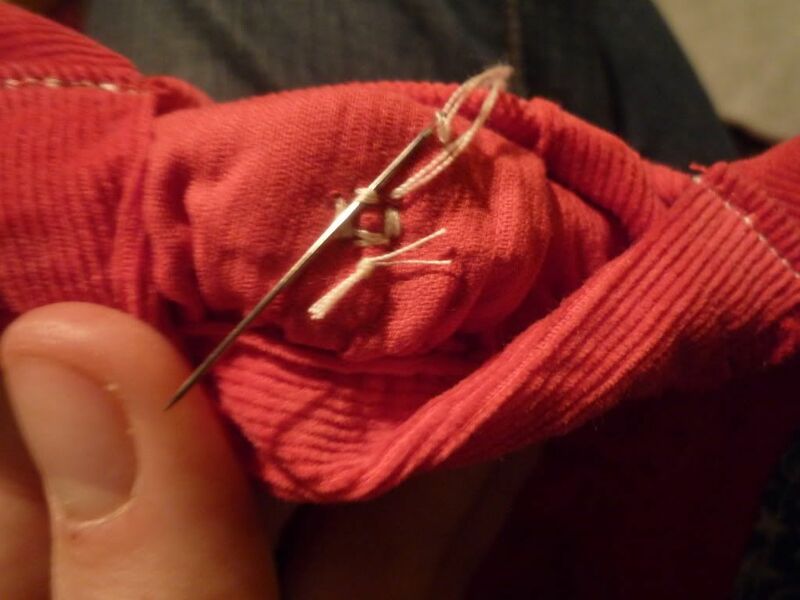 This will allow you to just stitch over the pins, and not to worry about taking them out as you go. Hand-Cranking the Machine – You’ll find that there’s occasions where you need to hand-crank your machine. 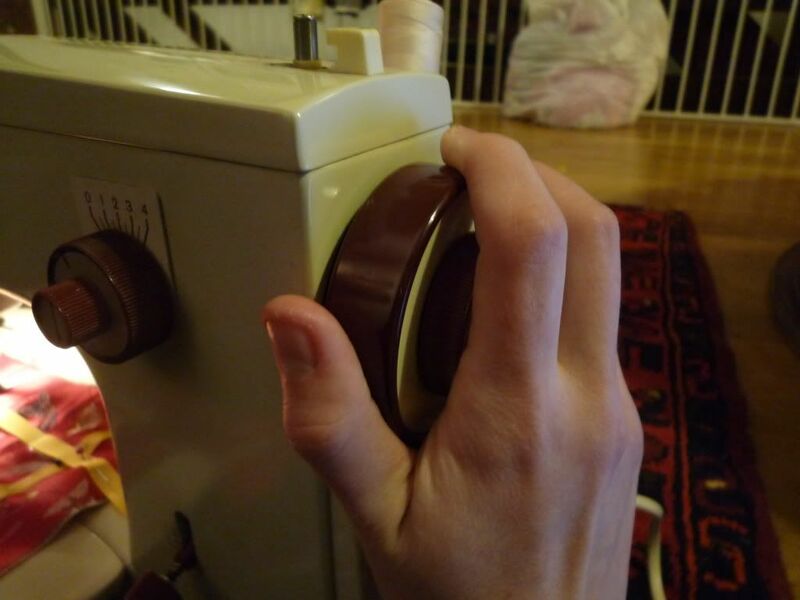 This is when you move the needle by turning the hand wheel, not by using the peddle. You’ll probably need to do this when sewing through multiple thick layers (esp. 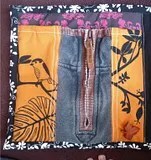 seams with webbing, pockets from denim jeans etc.). I find that if I don’t do this very carefully when sewing thick layers of fabric, then I break a lot of needles, which gets very annoying. Ironing – It’s best practice to iron all your fabrics and seams flat. 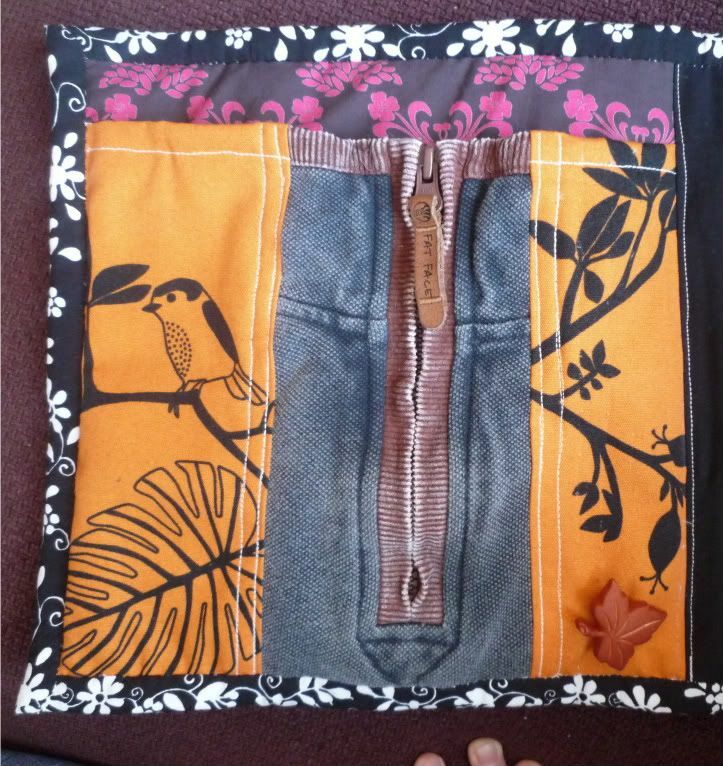 In this project (and with most others I do), I’m not bothering due to my chronic allergy to irons, but I am top-stitching most seams to help ensure they are secure and lie flat. 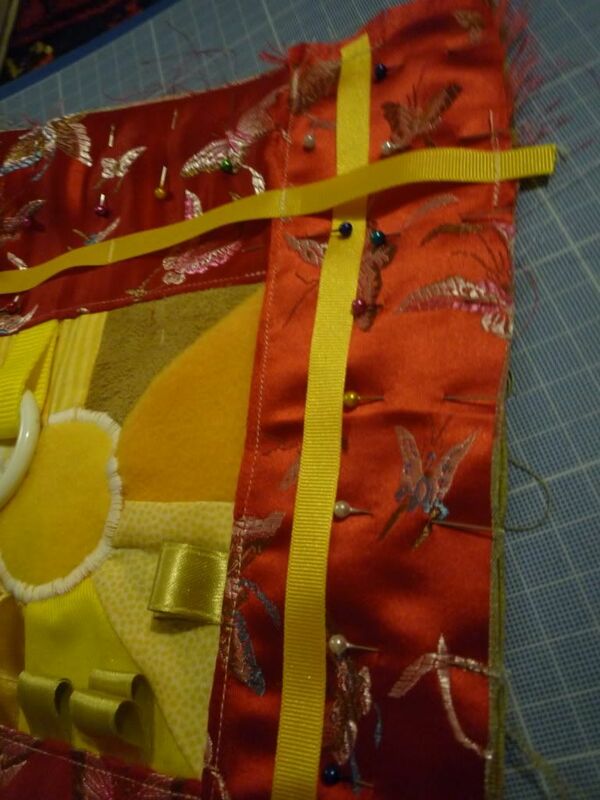 Hand-sewing – For all the hand-sewing in this project, I’m always using a double thickness of thread, and starting by tying a double knot at the end. 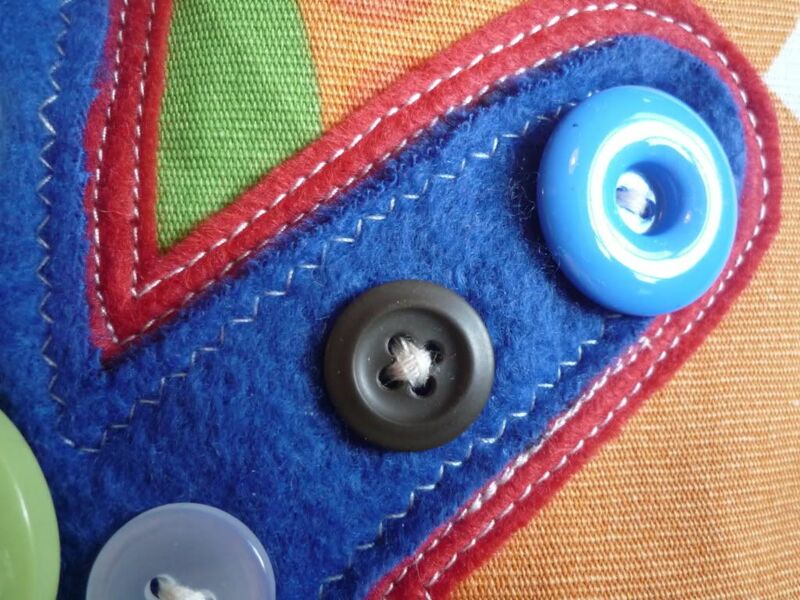 I’m ending all hand-sewn bits by using the needle to knot the thread back on itself, or to the back of the fabric where my stitching has finished. 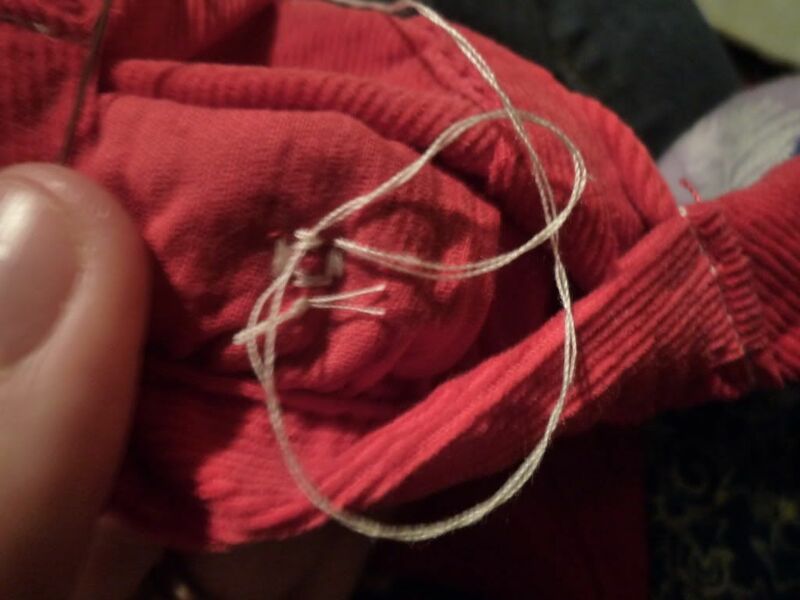 I’ve been told that it’s not really ‘proper’ to knot the threads like this (I think you’re meant to do a few backstitches instead), but for baby things, I’d rather know that it won’t all come undone so I’m over-engineering it all a bit. 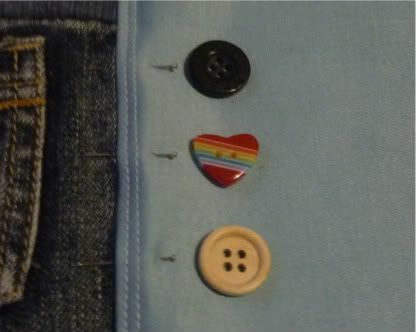 These pics show the back of a button I’ve sewn on. You can (hopefully) see the original knot in the end of the thread at the bottom, and how I knot the other end to my stitching when I’m done (1- stick needle through your previous stitches, but don’t pull all the way through; 2 – stick the needle through the loop of thread you’ve made; 3 – pull tight; I then repeat this a couple of times). Applique – for most of the little bits of applique I’ve done, I’ve simply attached them using two rows of straight stitch close to the edge of the appliqued piece (I think it gives a friendly, home-made feel to the whole thing + I find it easier to do the stitching neater than I do with more complicated stitches). You could use bond-a-web, or equivalent iron-on fabric bonder to stick the piece to the backing fabric before sewing. 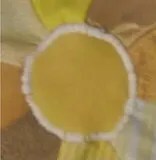 You could also zig-zag or satin stitch over the edge (rather than straight stitch next to the edge), if you prefer how that looks. 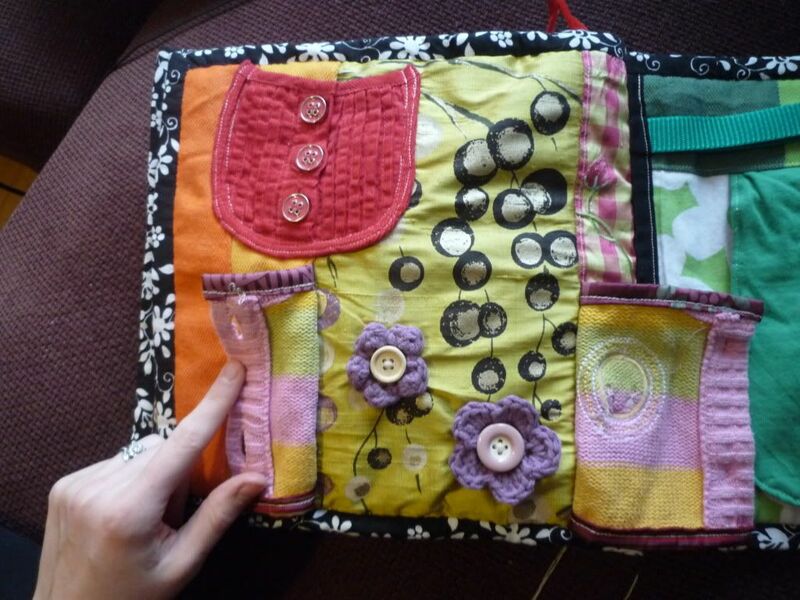 This entry was posted in Crafting, Patchwork and Frankenbooks and tagged activity book, baby, baby book, Baby Frankenbook, book, cloth, cloth book, exploring, fabric, fabric book, frankenbook, homemade, investigating, patchwork, tactile. Bookmark the permalink.